I chose to participate in this group read because of one important detail that was included in the intro. "For fans of The Historian and The Night Circus." Yep, I was in. Elizabeth Kostova's The Historian will always be one of my favorite books, and I've read it twice in the past ten years, even hosting a group readalong at On the Ledge Readalongs. The Historian was such a visual experience, incorporating overseas locations and unique meals with an unnamed narrator, that it launched my own interest in researching and posting pictures relevant to the pages our group read together. That was a ride of an adventure that I am always looking to replicate with another story. Since it's been a few months since I read it, I'm opting to go with the below Goodreads synopsis so I don't miss out on anything, or give away too much. 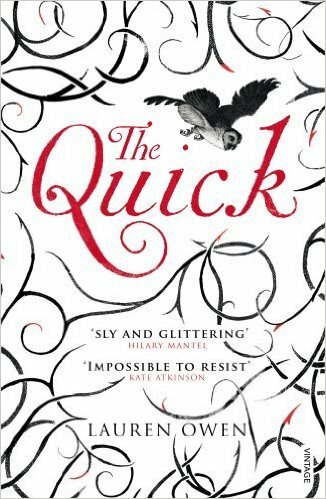 While The Quick was much more action-packed than The Historian, the setting and the atmosphere, was equally intense, creating an eerie and contemplative feel that I so appreciate in Victorian/Gothic tales. I loved it. The characters and overall quest fit snugly into the category of Victorian horror and Owen's debut creatively demonstrates the challenge of combining present events with the epistolary genre of letters and diary entries into a distinctly peculiar and thoughtful story of unexpected love, loyalty, and of course, vampires. This was an absolutely fantastic story. The key to it are the characters, who fit a range of the unexpected and curiously hopeful, banded together for the ultimate goal. This is a wonderful story filled with secrets and turns, and one that is perfect for you to put on the list of creepy tales to keep close on cold winter nights. 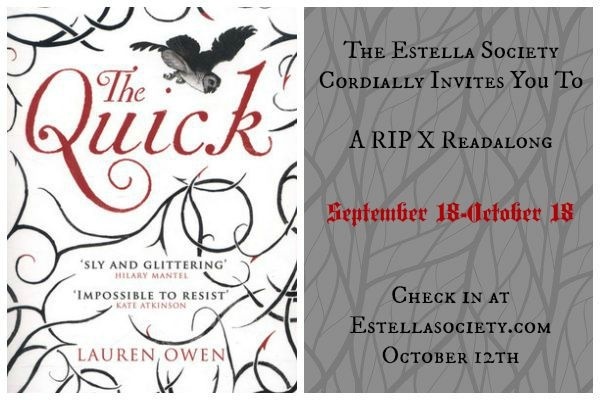 I'm eagerly awaiting the next work from Lauren Owen. Just as a side note: The Quick was also ranked as one of the best books of the year by Slate. Here's the original button that The Estella Society created. My apologies to them again that I didn't participate like I intended! But, I did read the book, loved it and will try much harder for the next RIP Challenge! 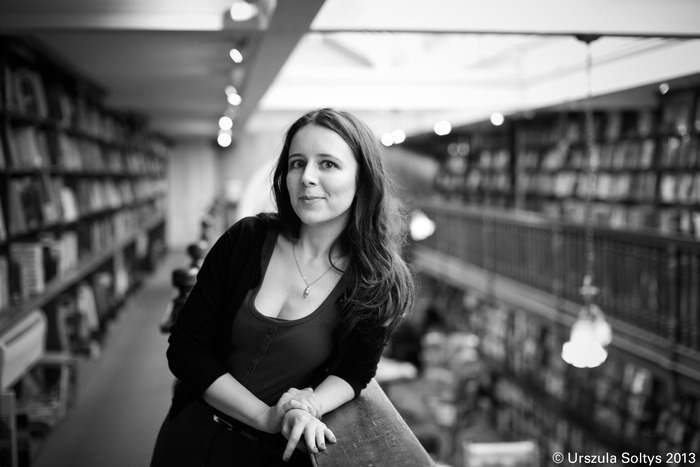 Lauren Owen studied English Literature at St. Hilda's College, Oxford, before completing an MA in Creative Writing at the University of East Anglia, where she received the 2009 Curtis Brown prize for the best fiction dissertation. The Quick is her first novel. She lives in Durham, England. So glad to see you leave a comment or two on my blog, and know that you're around! I tried twice to read this book. The part that lured you also lured me, loved The Historian. But, each time I tried I could not get past the first part. I forget where it breaks off, but I just completely lost interest. Glad it worked for you, though. I loved this book! It was so good! Definitely a lot better than I had anticipated. Such a great vampire novel :) So glad to see you enjoyed it as well. I am SO happy that you loved this one. When it was chosen as a readalong last year, I was ecstatic because I think it is one of the books that is just fantastic but did not get enough love/attention when it was first published. When I read it, I didn't realize it was a vampire novel, so that was a HUGE twist for me that made me love the story even more. I'm so glad you liked it! On the other hand, I'm one of the jerk hosts who never finished! Gahhhh, so ashamed. But I will! Because I'm reading my own damn books! I loved the start of The Historian. Wonderful sense of Oxford. Gosh it's a few years since I read it!